You know what this world needs more of? Sheldon Cooper. Ah, yes, CBS has decided that there isn’t enough Bazinga in the universe. 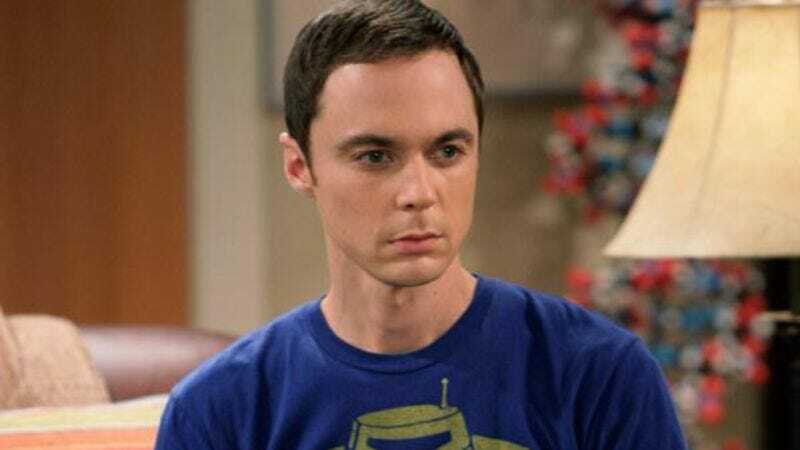 Deadline reports that the network is in early negotiations for a Big Bang Theory spinoff titled Sheldon, centered on the Jim Parsons character. So if you already felt a looming sense of doom brought upon by Election Day’s imminence, CBS is here to stoke the flame of your dread with this news. Sheldon is very hush hush for the moment, begging the question: Who cares? But Nellie Andreeva from Deadline is on it, noting that she has heard whispers that the series will be a prequel, “described as a Malcolm In the Middle-esque single-camera family comedy centered on the child prodigy Sheldon character at age 12.” So, The Big Bang Theory’s universe will expand to single-cam territory, which is a rather strange development. Andreeva also hears that even though the project has yet to be written, it is getting a pilot order, and her sources say it’s a shoo-in for a full series pickup next television season. Furthermore, she hears Sheldon will be produced by The Big Bang Theory co-creator and executive producer Chuck Lorre, executive producer and showrunner Steve Molaro, and Parsons. What do we know about Sheldon’s childhood already? He grew up in Galveston, Texas with an older brother George—who has only been mentioned by name and has never appeared in the series—a fraternal twin sister Missy (Courtney Henggeler), his mother Mary Cooper (Laurie Metcalf), who is an Evangelical Christian, and his father George Cooper, who also never appears in the series but is first mentioned in the pilot. George Cooper Sr. has been described throughout the series as an alcoholic and absent father who hid bourbon in Pepsi cans. The Big Bang Theory is in its 10th season, which is the last under the show’s three-year renewal it got at CBS. Negotiations regarding Sheldon are tied to talks about future seasons as well as licensing rights of the series. Sheldon will reportedly be designed in a way that allows it to co-exist with the flagship series in CBS’s lineup and their shared universe. The Big Bang Theory remains the most watched program on broadcast TV, beating out NCIS and Sunday Night Football. The program regularly draws more than 14 million live viewers, and the most recent ratings came in at 18.5 million. Parsons has won four Emmys and a Golden Globe for his portrayal of Sheldon. So really, a Sheldon spin-off was only a matter of time.